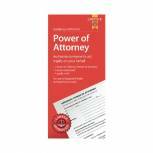 Guildhall Legal Corners 315gsm Red (Pack of 100) GLC-RED Pack of 1 Legal corners for secure stapling. Tough manila adds security to staples. Easy way to provide professional finish. Allows for easy searching through documents. Can be used to create a colour co-ordinated system. Strong 315gsm sprint manilla. Q-Connect Note Spike 114631 Pack of 1 Q-Connect note spike with metal base. 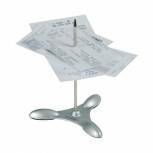 Useful for keeping notes and bills secure. Rubber grip base for stability. 120mm spike. Silver. 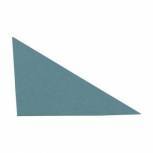 Guildhall Legal Corners 315gsm Blue (Pack of 100) GLC-BLU Pack of 1 Legal corners for secure stapling. Tough manila adds security to staples. Easy way to provide professional finish. Allows for easy searching through documents. Can be used to create a colour co-ordinated system. Strong 315gsm sprint manilla. 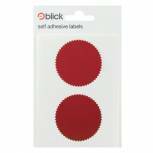 Blick Company Seal 50mm Diameter (Pack of 160) RS014652 Pack of 20 Blick company seals. Special labels available in retail bags. 50mm diameter, 8 labels per dispenser. 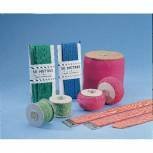 Legal Document Straps 1219mm Cream (Pack of 25) 7889 Pack of 1 Legal Document Straps 1219mm Cream 7889. For securing legal documents. 3 prong buckle for secure closure. Pack of 25.